Have you ever wondered if hydrangeas come in pink? Are you curious as to whether you will be able to find orchids during your wedding day? Compiling your dream bouquet for the D-day is part inspiration and part knowledge. 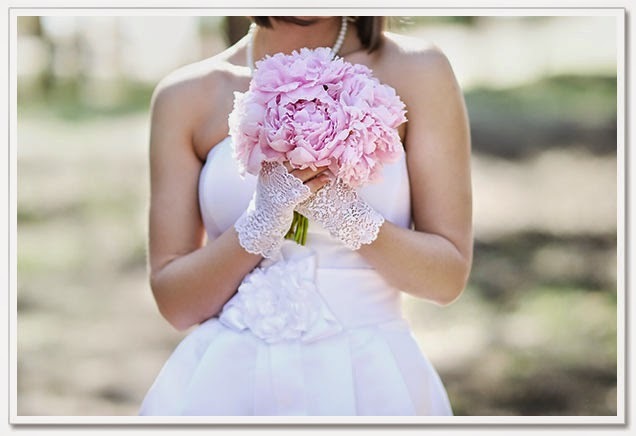 Brides face difficulty for choosing wedding flowers that fit their style and match their wedding dress. Here is a guide for selecting wedding flowers by seasons, so that you ultimately get what you want. Winter is one of the most common seasons for couples to get engaged or married. Wedding flowers that are available in winter include Amaryllis, Anemones, Camellias, Daffodils, Jasmines, Poinsettias, etc. Cymbidium orchids are available all year round and other tropical flowers are also available in winter season. To make winter wedding more spectacular, add vibrant red dogwood stems and tactile pussywillow stems into bouquets or wedding decorations. The flowers available in this season include blue delphiniums, columbine, gladioli, roses, carnations, etc. If Irish is your favorite flower and you’re not able to find irish bouquet in a local flower shop, then it’s better to order online from a worldwide flower delivery store. A mixed bouquet with bright colored roses and chrysanthemums will give a real summer feel to your wedding. Spring is the season of flowers. Spring symbolizes new life, new beginnings and a flowering time for a whole lot of flowers. You can get from tulips to the wonderfully fragrant hyacinths and from cherry blossoms to peonies. Vibrantly colored flowers are perfect to suit your spring wedding. If you want your big day to be more special, go for bold and powerful flowers that are available in spring season. Even monochromatic designs with only one flower or color are in trend these days. Dahlias come in hues of red, orange, yellow and purple. These colorful blooms will look beautiful in fall wedding arrangements. Queen Ann's Lace flowers look dainty and charming and can be used in table arrangements during your D-day. Brides seeking a spectrum of unforgettable color and beautiful wedding bouquets will love their wedding flower arrangements only when her favorite flower will be present everywhere on her special day. While many flowers can be found year-round, but choosing seasonal wedding flowers will likely be cheaper and have better quality. It’s not necessary you plan your wedding as per the seasonal flowers; in fact, you can get your favorite flowers any time of the year. Make your wedding day more memorable with beautiful florals. Happy married life!